The 2016 festival year began and ended in an indoors setting with a major overseas event being the showpiece of the summer. The line up for two days spent at the Forecastle Festival in Louisville Kentucky threw plenty of candidates for this list into the mix and the four eventually chosen represented the cream of this eclectic music event rich with a roots and Americana inclusion. Back on home soil, Maverick and Moseley Folk were their usual stoic efforts, while C2C in March finally delivered a stellar two days from the ever decreasing pool of exceptional artists operating within the country music mainstream. High and Lonesome extended the festival season to the end of November with a commendable line up from both sides of the Atlantic. Finally a quick mention for the Jinney Ring Folk Festival which provided two fine candidates for this list in sets by Lucy Ward and Sam Carter. As usual this personal choice is entirely subjective and each artist contributed something significantly memorable to the glorious concept of multi-artist gatherings. A hot and humid night under the I-65/I-64 intersection in downtown Louisville on the banks of the Ohio river. A packed crowd orchestrated in chants celebrating the city's most famous citizen - the late Muhammed Ali - which carried on as the best live band in the world strode onto stage at 9:30. Whether headlining the Calgary Folk Festival, a venue in Birmingham UK or a field in their steaming southern homeland, Brittany Howard and her band continue to blow me away as a live act. Call it soul, blues, rock, Americana - it's absolutely awesome and will live long in the memory as the outdoor festival moment of 2016. This was the first of three live Brandi Carlile experiences in 2016 and finally an opportunity to hear songs from her evolving classic album The Firewatcher's Daughter in the presence of their creators. The entity of Brandi and the twins was in blistering form right from the beginning of her headline set on one of this festival's supporting stages. 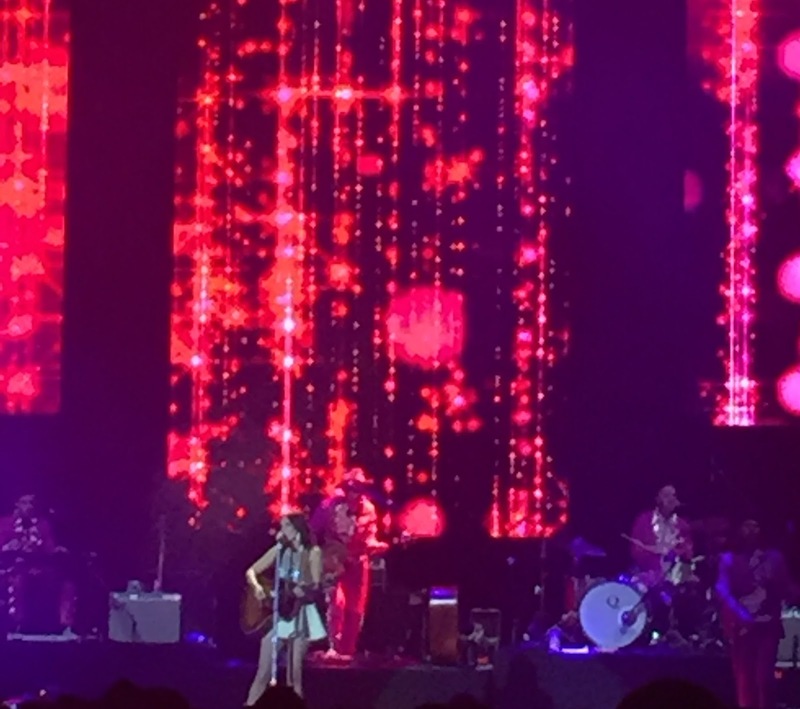 Her fervent fan base made sure Brandi was in precious company and she repaid them with a superb performance - rocking, tender, emotional and uplifting in equal portions. The set was packed with interesting material and by the end of 2016 the appreciation of this artist was sealed lock, stock and barrel. 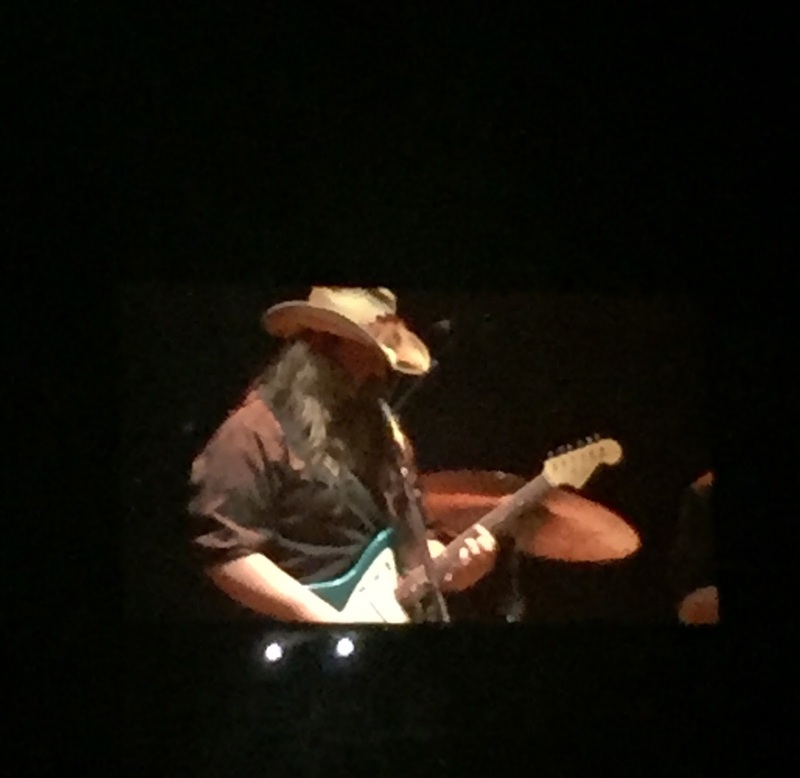 The long wait to see one of modern country music's most revered performers in Europe was ended with this Friday night headline set in London. I'm afraid objectivity was binned for an hour, but then music allows ones mind to sometimes wallow in a different sphere where the world of judgement is exceeded by the thrill of the moment. Many long hours of listening to Miranda for over a decade was packaged for a brief moment and for me there was no place I'd rather be on the evening of March 11th 2016. For many Chris Stapelton was the star of this festival which excelled with its artist choices in 2016. This was no big band show, just a small gathering onstage led by Chris and his wife Morgane who almost stole the show with her version of 'You are My Sunshine'. 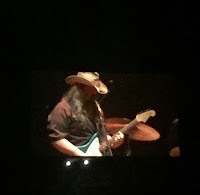 The power of the voice, songs and aura held a packed arena in the palm of the performer's hand and it was easy to detect being in the presence of someone making significant inroads in altering the direction of modern mainstream country music. The album had already made a profound effect when Carter was added to the Maverick Festival line up. 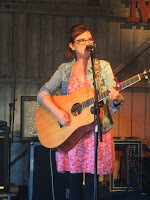 Over the weekend she made three stage appearances: a contribution to the Jimmy Rodgers tribute show; a live radio session for Leader's American Pie and her own Saturday afternoon set on the Barn stage. All three confirmed the stature evident in the album which went on to become a firm favourite over the course of the year. The next step is to widen her UK presence and this begins with a series of dates in the New Year. But at this moment, let's just reflect on the impact Carter made in 2016. Birmingham's own very unique folk festival throws up a lot of eclectic offerings when it comes to town in early September. There is normally an healthy contingent from across the Atlantic and the act who caught the eye most this year was Laura Gibson. Mingling between a style calling at various points of folk, indie and Americana, Laura possessed the most ear pleasing of voices that matched the idyllic setting of Moseley Park. Like sole festival slots, the time on stage can be frustratingly short when you're in an artist's groove and there was never going to be a chance of not yearning for more when Laura Gibson completed hers. It was two years since seeing Sarah play a series of shows in the UK when she appeared on the Forecastle Festival stage on Saturday afternoon. Forty-five minutes later a much developed artist emerged adding a maturer presence to her prodigious musical talent. This appearance was in tandem with getting a copy of her new album and together they made her one of premier artists to cross my path in the summer months. The trio format for this show worked well as we were served a delightful offering of tracks from her now developing seriously good back catalogue alongside the trademark Dylan cover she revels in. The question prior to Kacey's C2C scheduling slot was how would she come across in an arena setting after impressing immensely in her smaller UK shows to date. The answer was remarkably well and from a decent position on the floor, the sound was surprisingly good for a setting often beset with difficulties in this basic gig requirement. Hopefully her UK liaison will revert back to those smaller shows, but in the grateful knowledge that she cut it when the stakes were raised. The first admission is that due to a clash with the Brandi Carlile set, the first fifteen minutes of Ryan Adams Sunday headline billing at Forecastle was missed. Hence a distant position at the back of the packed audience gathering was assumed to see an artist ripened for such as an eclectic music event as Forecastle. The effect from this position was not dampened as Ryan played a super set. One golden gig moment of this event (even perhaps of the whole year) was the crowd reaction to the reference to Kentucky in his Americana masterpiece 'Oh My Sweet Carolina', A fitting end to a sensational couple of days at an event a long way from home. The 2016 festival season had a surprise extension when a couple of favourite artists were added to the High and Lonesome line up in late November thus making the trip north more viable. It was in effect a toss up between Applewood Road and Robert Ellis for the final spot in this list with the former edging it due to the sheer beauty of the music they have made throughout the year. The setting of a decommissioned church with its acoustic splendour was heaven sent for Emily Barker, Amber Rubarth and Amy Speace. The ladies duly obliged with a serene performance.